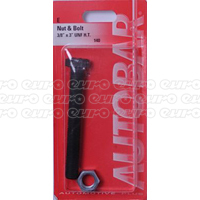 If you’re searching for a range of UNF nuts and bolts, you don’t need to look any further.  Shop our selection here at Euro Car Parts today, and you’ll even get to enjoy free UK delivery. There are many, many types of fasteners in a vehicle’s engine, but one of the ones you’ll come across most frequently is the simple (but effective) UNF nut and bolt fastener. 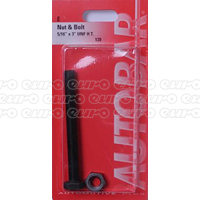 Designed to fix parts and components in place, these nuts and bolts come in a vast range of sizes - and this is where we here at Euro Car Parts can help. 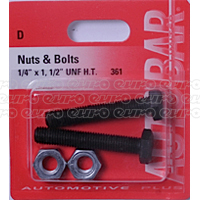 The nature of UNF nuts and bolts is simple enough - they are pretty much a universal shape - but it’s the size of the nut and bolt that you need to ensure is correct. Opting for something too small or too large could be damaging to the part it’s attached to, so it’s vital that you have a range of sizes in your arsenal for use at home. 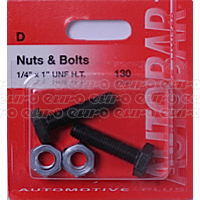 Whether the nut or bolt has been lost along the way, or if you notice that one’s gotten damaged, it’s always handy to have a small stock of these fittings in your workshop. 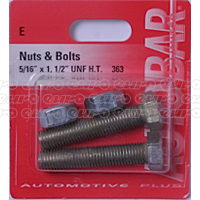 Opt to order some of our UNF nuts and bolts today, and you’ll also benefit from free UK delivery. Happy fixing!